VIDEO: How to cut teeny fabric appliques quick, quick, quick! True story: a couple of years ago, I was prepping a project and realized that I was nearly at the end of my roll of freezer paper. When I actually remembered to pick up another roll, I was so impressed with myself! A few weeks later, I was ransacking my pantry and what did I find? You guessed it, another brand-new roll of freezer paper. These words actually came out of my mouth: “What is this doing here?” I’ll bet my “helpful” hubby put it there—silly of him to think that it belonged in the pantry, wasn’t it? 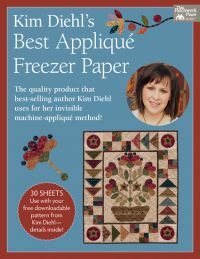 Speaking of freezer paper, here’s a fantastic video tip from Bonnie Sullivan, author of A Change of Seasons. Have you ever looked at an appliqué pattern and been intimidated by the sheer number of tiny pieces in it? Bonnie’s tip will help you cut those tiny berries and leaves quickly and accurately. Reading this in email? Click here to watch the video. Spring has definitely sprung in Chapter 1 of A Change of Seasons! Bonnie devotes a chapter to each season in her book. Take a look at more of her projects here. By the way . . . those freezer-paper rolls for appliqué are now history (at least in my sewing room!). I switched to Kim Diehl’s Best Appliqué Freezer Paper. You get thirty 8½" x 11″ sheets that lie flat for easy tracing and cutting. You can even run the sheets through an inkjet printer or photocopier. They’re great for both hand and machine appliqué. You’ll never go back to grocery-store rolls again! What kind of appliqué technique do you use most? 4) A combination of all three! 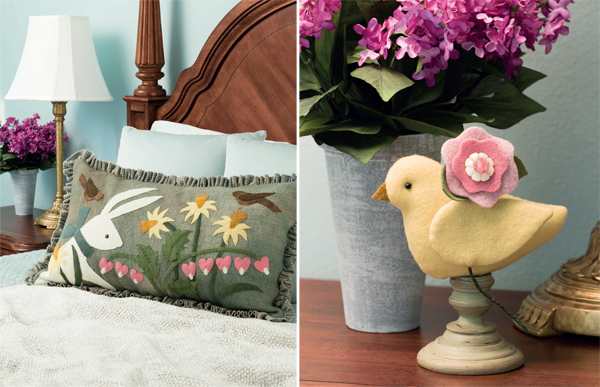 Share your appliqué style in the comments! I use 2 & 3, still new to applique, and have not tried freezer paper yet. Hand appliqué is my choice. #4 ~ I use all 3 methods. My goal for 2017 is to get more skilled at applique and it’s many techniques. I am experimenting with many different kinds of applique in all my recent projects. I love adapting a particular method to my projects. I prefer machine applique over hand applique, but sometimes there is a need for working by hand, such as a bus trip to your favorite quilt shops. I do all three depending on the pattern but prefer fusible with finishing with the blanket stitch. The combo works for me. I love the look of fusible applique with a hand stitched buttonhole stitch around it. I like the primitive look to the quilt! #4 – it depends on size, weight and type of fabric I’m using. I do all types of applique but my heart will always belong to hand applique – needle turn specifically! Thanks for the chance to win. Oh, I love Hand appliqué! I like fusible appliqué the best. Always sharp corners and much more detail can be achieved. I use all three depending on the project I’m working on and the time frame of needing to complete it. I usually use hand appliqué . I like sewing by the fire after a frantic day . I can even sew while I am with my husband , which surprises him! I love the fact I can finish something– a stem , a tree even a block after the usual day of "I’ll get to that later"
I use fusible machine applique with blanket/buttonhole stitch. I’m not fond of handwork. 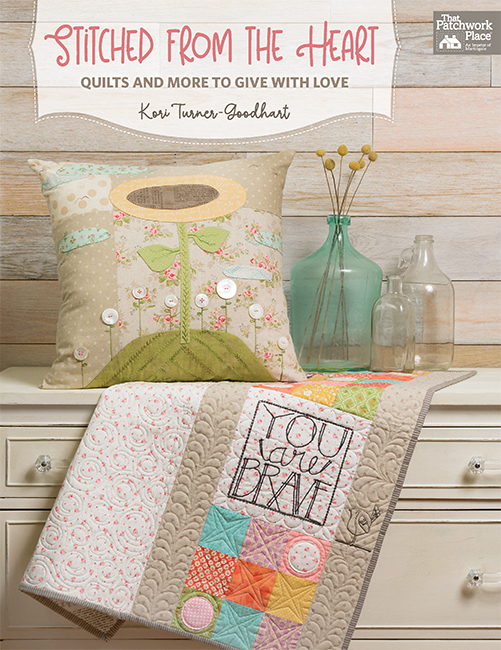 I would love to try Kim’s fusible sometime. My default is fusible with machine blanket stitch, but I’ve done a whole quilt by hand…………but only once. Guess I’m a combo. I love to hand applique. It’s very enjoyable and relaxing for me. New to appliqué and have found fusing to be easiest for me. Love to hand applique. Wish more pre-cuts were cut for needle turn. Love, love, love raw edge applique. I have done many projects using this technique and continue to be challenged by the variety of applique I can do. I use a combination of hand and raw edge applique. I usually fuse the edges of the applique and then stitch it by hand. hand, definitely. One of the first "arts" I learned, and I always put a little bit of applique on every quilt, if not a major design element, I put it along with the label on the back. I have two almost finished right now, one will have a puppy, for a little boy, and the other an owl, to match the fabric on the front for a little girl. Fun! If I applique at all it is iron on and maybe I’ll do a little machine just to make sure things don’t come off. Have many times thought I would love to learn proper needle turn applique… one of these days. I am definitely a #1. Occasionaly, I might use fusible applique, but my true love is needleturn applique! i do both the machine applique and fusible applique. I have taken a class for hand applique but most of my hand work is either knitting or embroidery. 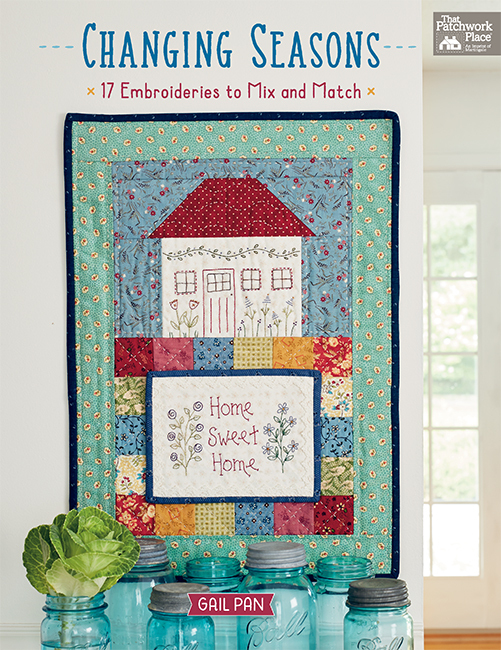 This leaves no other couch or travel time for hand applique. I love applique and I’m a number 4. For quilts that are going to be used on the floor, at the beach, etc. raw edge, fusible, satin stitched is the way. Needle turned for an heirloom gift is the only way for me. 2 & 3 don’t do handwork much. I love the fusible applique and use it both for hand sewing and machine sewing. I would love to have this book showing so many beautiful design to applique. I do mostly hand applique. It is something I can do without being tied to the machine. I only do machine when making something that will undergo many machine washings like an everday baby blanket. I do not like fusibles in applique because of the stiffness even if the center is cut away. 4) definitely! I have used all three and which one for a particular project depends on the project. While I prefer the look of hand appliqué, if I am pressed for time either of the other two usually satisfies. 4. I have used all three on the same project even. Usually, if I use fusible, I machine applique, too. Love to do hand applique, though. I do all and I use fusible thread to keep the hand and drape really soft. I love machine applique. I love being able to use fusible web with it. For softness I cut out the center of the larger pieces. All appliques can be turned into machine applique. Because it is so easy, I am able to teach even new quilters how to machine applique. I do a combination of machine and fusible applique. Hand applique would mean I’d NEVER get a project completed!! I use a combination of the three methods of applique. I do love hand applique with wool. I stick to hand and machine applique. If I need something quick and it won’t see much washing machine time I will use fusible applique. I do mostly A. Hand appliqué is very portable & great on road trips when I’m not driving. But, if it’s a baby quilt or something I know is going to be very used, featherweight fusible & machine appliqué is the way to go for me. I have used all 3 types depending on what I am making and how I want it to look. I use hand applique most. Working with wool felt right now on small projects for a group that raises money for local community needs. I have used fusibles and machine applique, but I prefer the hand projects most. I use a combination of all three, but do fusible the most. I prefer the fusible machine applique. I can do hand applique also but it just seems to be more time consuming than my schedule allows. I feel that the fusible machine wears best for us since we LOVE everything I make everyday! I like hand and fusible appliqué. I like doing it like Bonnie Sullivan whenever I use woolies and needle turn appliqué with other fabrics. I use whatever techniques make the project work. I’m not afraid to mix in one project either. I always have a piece of hand applique at the ready to do when I’m not at my machine. I fuse, then machine stitch! It’s fast and fun! I’ve done several purses this way and some children’s clothing and quilts. I love it! I use fusible applique and then machine stitch around the edges. It is quick, however, I do love the look of hand applique. 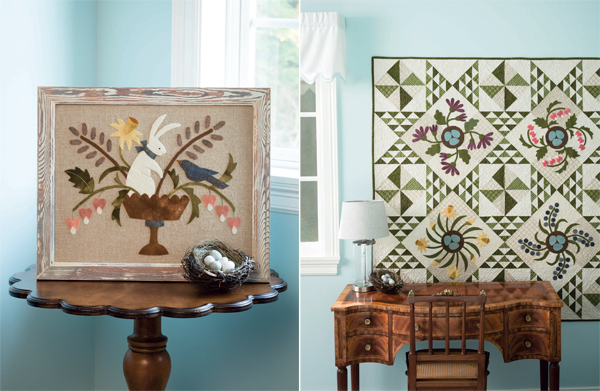 I have used all three methods for applique with hand being my preferred. Recently, I have begun to appreciate raw edge techniques. 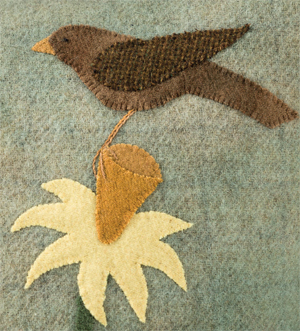 I have used all three methods but my favorite is hand stitching with wool appliques. It is relaxing and the effect of it is wonderful, you can do a simple buttonhole stitch or go crazy with a multitude of different stitches. I love the look of hand applique but occasionally will try machine applique. I use fusible applique and satin or decorative stitch the edges by hand or machine d pending on the project. I am currently learning hand applique and turned needle. I have done all three. My favorite is using interfacing for leaves and sharp points, but all in all it is the pattern piece that tells me what method would be best so all three. I currently do hand and fusible applique. I would like to try machine applique. I generally do 2 & 3, fuse the pieces and then machine applique them. I have done all three but like the fusible method best. 4) I have tried all of these. In fact I just finished my first Kim Diehl item, a table runner. I hand appliqued it then hand quilted it with monofilament thread. Just love the way it turned out. Can’t wait to get started on another one! I like hand applique for wool & fusible applique for cotton. So many ways, so little time! I use a combination of all three types. I love handwork but for quilted projects I usually fuse and then machine quilt the edges. 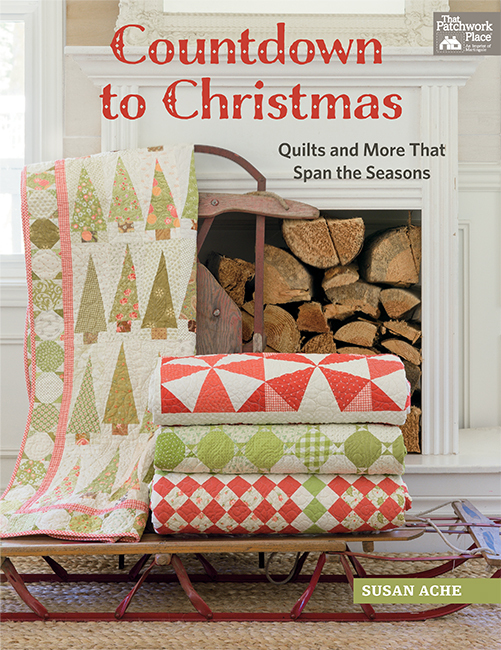 I have mainly Christmas pattern and I love the look of spring in the book "A Change of Seasons". Fusible, then machine applique. I’m not very patient for handwork! I like to use all three techniques but which one depends on the size of the project and the time I have to devote to it. I tend to use machine applique the most, fusing it down first or using a spot of glue, depending on the size of the piece.